Two unions representing about 1,000 staff at Air New Zealand have voted to commence strike action in the lead up to Christmas. Some 95 per cent of the 970 members of the Aviation and Marine Engineers Association and E tu voted to commence industrial action from December 21 at meetings held earlier this week in Auckland, Wellington and Christchurch, E tu said in a statement on Friday. The strike follows negotiations between Air New Zealand and unions being unable to come to an agreement on new wages and conditions. While the strike action is set to begin four days before Christmas, E tu and the Aviation and Marine Engineers Association have agreed to enter mediation with the airline in an effort to resolve the dispute. The two unions cover workers across Air New Zealand’s line and hangar engineers, aircraft cleaners and other staff. “No one wants to disrupt people’s Christmas plans, but Air New Zealand has taken an unnecessarily aggressive approach,” E tu said in a statement. 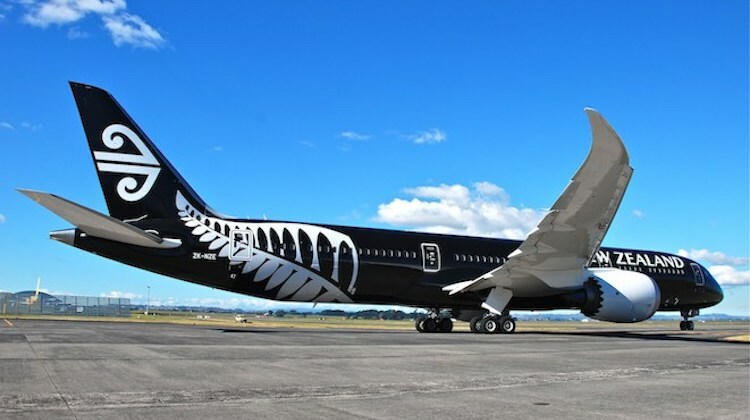 Air New Zealand said in a statement there are about 42,000 passengers booked to travel domestically and internationally with the airline on December 21. “We have only been in negotiations with this group for six weeks so industrial action is entirely premature,” Air New Zealand general manager for aircraft maintenance Viv de Beus said in a statement. Air New Zealand said unions had knocked back a proposal of an immediate two per cent pay increase followed by a further three per cent increase after 12 months, and rejected proposals to standardise overtime pay to 150 per cent of the regular pay rate. Meanwhile, Air New Zealand said the unions had also proposed aircraft maintenance engineers with five years’ service getting an additional week of annual leave, offering free reserved car parking within 500 meters of their workplace and the “right to renegotiate terms just prior to the busy Christmas season again next year”. This is nuts. Airlines are going broke all over the place esp Europe. Will air nz survive ? Workers should take a big pay cut to ensure the aitline survives the worlds biggest ever recession. part of their employment agreement. What has upset the Unions involved, that Air NZ’s CEO announced in late Nov 18, the airline wants to save another $30million due to increase fuel costs that would include a freeze on hiring non-customer facing staff, cutting back on some of its marketing activity, reducing use of contractors and limiting the amount of travel staff take for work purposes. The propose strike will only affect the airline’s A320/A321, B787 and B777 fleets not the Q300/ATR72 domestic regional fleets as they are operated by separate companies with separate employment contracts with the Unions. what has making a profit in past, got anything to do with the future ? Economies everywhere are stuffed, so airlines either have to reduce services cut average fares dramatically or both, but will this be enough to survive ? Well David if things are so dire, let’s see the multi million dollar managers take a pay cut first! I remember when QANTAS was still govt owned and every December they would go on strike, if the Kiwis had any brains they would set Air NZ free. We can all look forward to these games once Labor are in power next year. Let’s hope Alan Joyce is once again not wanting to play these games. Air NZ was set free years ago Globemaster. We all well remember how successful that worked out. It is a surprise to hear that industrial action is set to go ahead on the 21st. We used to get this with Inter Island ferries and petrol tanker drivers. Also sadly I heard the union head talking on the radio this morning …….an yes, he sounded like he had a pomey accent! Blind freddie can see that the worlds worst recession has arrived & travel is the 1st part of discretionary spending to get the cut. Many in OZ are worrried that if ALP are elected next May, the recession will be much worse & much longer. sounds like lots of work for all New Zealand domestic airlines apart from Air NZ on 21DEC.